Miami, FL – March 8, 2018 – The Global Wellness Summit (GWS), the foremost gathering of international leaders in the $3.7 trillion global wellness economy, today announced that submissions for its 3rd annual “Shark Tank of Wellness” student competition will be considered until June 1, 2018. 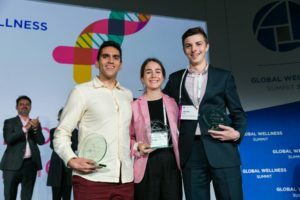 The unique global challenge is open to undergraduate and post-graduate students (18+) around the world – and the top three finalists (student and professor/mentor) will be flown to this year’s Summit at Technogym Village in Cesena, Italy (Oct. 6-8, 2018) to present in front of a live audience and compete for $10,000 in prize money. There is no fee to enter and complete rules and regulations can be found on the Global Wellness Summit website. 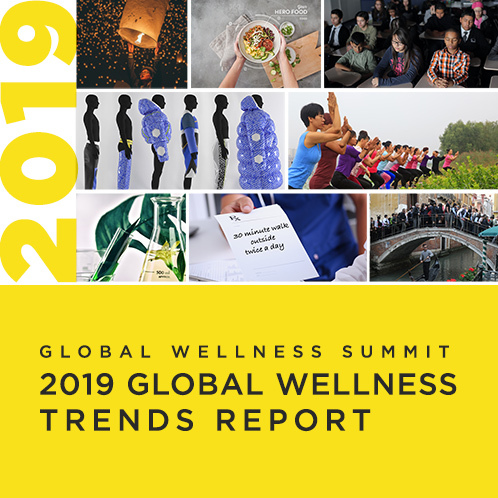 Contestants will be judged on the business viability of their concepts by a panel of real-world wellness experts (aka “Wellness Sharks”) who will question the students in front of a live audience of business and thought leaders in global wellness. Concepts can serve any aspect of wellness, including architecture/design, beauty, education, fitness, hospitality, medicine, nutrition, real estate, spa, technology, workplace wellness, and tourism. Interest for wellness-related start-ups, especially those offering tech-based solutions, is on the rise among the investment community and the “Shark Tank of Wellness” offers a unique platform for start-up ideas that might make the mainstream. For example, the popular meditation app, Headspace, has raised $75 million in venture capital to date; Happify Health raised $25 million in 2017, while Grokker, which delivers online yoga, meditation and fitness lessons, landed $22 million, to name a few. One of last year’s finalists, Habit Nest, a habit-forming journal and app, successfully launched in 2017; and last year’s winner, Florida State University’s Jarrod Luca, will join the 2018 Summit via video link to give an update on his winning concept – a new therapy to treat sufferers of anxiety and post traumatic stress using virtual reality. Returning sponsors of the “Shark Tank of Wellness” include Circadia by Dr. Pugliese (USA) and ResortSuite (Canada). Executives from each sponsoring company receive the coveted “Wellness Shark” title and are on stage to ask questions and test the viability of each finalist’s concept. “Circadia has a rich history and foundation in education and we want to stay connected with students worldwide. There’s no better way to do that than by partnering with the Global Wellness Summit and the ‘Shark Tank of Wellness’ competition,” said Michael Q. Pugliese, CEO of Circadia by Dr. Pugliese. In addition to the $10,000 in prize money (1st prize $5,000; 2nd prize $3,000; 3rd prize $2,000), airfare and hotel accommodations, the “Shark Tank of Wellness” finalists and their professors also take part in the premiere, three-day wellness conference, including all general sessions, breakout discussions, industry forums and social events. Student submissions will be accepted from Thursday, March 1, 2018 to Friday, June 1, 2018. Students must register for the competition prior to submitting their concept on the Summit website here. Winning entries will be selected based on project innovation, visual appeal or design, relevance and importance to the wellness industry, viability as a business, and quality of the project presentation. For more information about the unique opportunity to become a “Wellness Shark” and to be one of the sponsors of this year’s “Shark Tank of Wellness” competition, contact Michelle Gamble: michelle.gamble@www.globalwellnesssummit.com. The Global Wellness Summit is an invitation-only gathering for senior executives. Ellis noted that first-time delegates should apply to attend as soon as possible as the Summit is always a sold-out event. The “Shark Tank of Wellness” Finalists at the 2017 Global Wellness Summit. From left to right: Mikey Ahdoot (University of Southern California, USA), Jarrod Luca (Florida State University, USA), and Maria Gil (École Hôtelière de Lausanne, Switzerland).